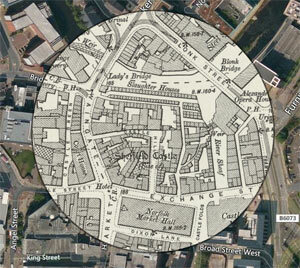 Was able to trace the boundary to Sheffield Park with these maps. It shows that the boundary went a bit further out on the Pit Lane Woodthorpe Fields side. More than the present boundary. By the way I was sad to learn that the new extension to Prince Edward School destroyed the nearly all of the remains of the old Park boundary Wall. Ironic since it had survived the demolition of the Upper Manor Boot Houses, probably thanks to myself telling them that the wall should not be touched. It seems the Council must have lost the information about protecting it for the future. Just proves that sometimes the Council can’t be trusted to preserve heritage.